Trips with pets to Boulder can be the best vacation you can take. 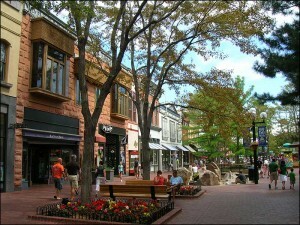 Boulder is a pet friendly city packed with fun for both pets and pet owners. Check out the long list of parks, hikes, restaurants and more in our Boulder Travel Guide designed exclusively for pet owners. Expect a warm welcome from the towns people. This makes for a good place to travel to if it’s your first outing with pets. Pets are welcome to dine with their owners at many of the pet-friendly sit down restaurants. One of the locals favorites is the Boulder Dam Brewing Company. This sunny beer garden has a patio where pets can lounge while you take in fresh mountain air. The Brasserie Ten Ten serves up some fabulous French cuisine and also has panoramic vistas of the Rockies. Milo’s Cellar has great wine, beer and sandwiches in an outdoor café setting. Pets are allowed on the patio, and bowls of water and treats are provided. There are many pet friendly parks throughout the city of Boulder. It’s a great place to take in landmark sites and hike in nearly untapped territory with your pooch. Chautauqua Park is the central trailhead for the city’s open space and mountain parks. The park has a wide variety of trails that go through wooded areas with lakes, waterfalls and beautiful flora and fauna. The park also has a great vista of the Flatirons. Pets must be leashed. We have listings for many pet friendly hiking trails. The Mesa Trail is a popular trail for hikes with dogs. This seven-mile trail runs through the foothills and features majestic mountain peaks and intriguing rock formations. It passes through six canyons with a habitat of diverse flowers and wildlife. Coot Lake and Boulder Reservoir are ideal open spaces for dogs. Coot Lake is a voice and sight control area. In order to be off leash, pets must be voice and sight registered. Dogs can swim in the lake and hike the walking trails. The Boulder Reservoir is a 700-acre park with beaches, food concessions, picnic sites, boat moorings and boat rentals. Dogs can swim at the park, and there is also a 5-mile trail around the reservoir for hiking. Visit the Vacation Pet Friendly Boulder Page for everything that’s pet friendly in Boulder. 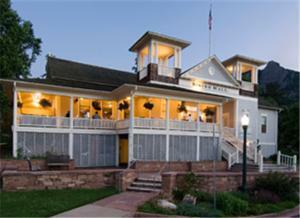 For accommodations, Boulder has a wide array of pet-friendly hotels. The Best Western Inn and The Boulder Creek Quality Inn and Suites allow up to two dogs per room with an 80-pound weight limit. The Best Western Inn also provides cozy beds, waste bags and food bowls. The Boulder Creek Quality Inn and Suites provides pet amenities, including food bowls and pet beds. This is such a pet friendly U.S. state, you will truly be glad you have your furry friend to enjoy all it has to offer. If you are planning to take trips with pets to Boulder, make sure you take in all the town and its nearby cities have to offer. Refer to our Travel Guides. Plus, if this is your first time traveling with pets, we have plenty of helpful articles and travel tips. Read them to make traveling with pets more comfortable and fun. Remember, booking early is essential when traveling with pets. See what’s available today so you get the best deals. Start your search for pet friendly hotels in Boulder here. Then sit back and think of all the fun things you can do when you get there!